Whole House Repiping | Brooks Plumbing Co.
Don’t Ignore These 3 Signs You Need Whole-House Repiping! Most of the time, and in the most ideal situations, when you have a leak or clog you can just call a professional for repairs and get the job done quickly. However, at some point your plumbing system is going to age to the point that replacing the pipes entirely is the safest and most cost effective way to protect your home from leaks and water damage. As long as you keep your plumbing system regularly maintained, you shouldn’t have to worry about this for some time. It’s also important than you call a professional plumber right away if you notice any signs of trouble. Whole-house repiping is typically a last-resort option, however it’s an option nonetheless. Watch for the following 3 signs that it could be time for you to consider this service. Posted in Plumbing | Comments Off on Don’t Ignore These 3 Signs You Need Whole-House Repiping! The water pipes and drains in your home get a ton of use throughout the year brining in fresh water and disposing of your waste water. All of that use can lead to the need for Olympia plumbing repair services but eventually it will likely lead to the need for whole-house repiping. So what can you look for that might indicate that your plumbing is on its last leg? Read on below to find out and then give us a call here at Brooks Plumbing. Our Olympia plumbing technicians can answer any questions that you might have and we can visit your home to take a look at your plumbing and help you determine if repiping is needed. 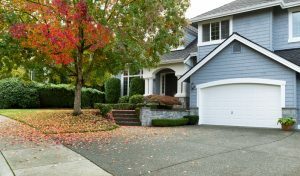 Keep an eye out for any of the following issues that could signal that you need whole-house repiping services in Olympia, WA. Water pressure – The water that comes into your home from your utility company is under pressure so that it can travel up in to your home to all of your faucets. Over time, leaks can develop in your pipes as well as corrosion and mineral deposits that reduce the amount of water pressure in your home. This can also be caused by tree roots growing into your water pipes. If you notice a sudden or gradual decline in water pressure, like your washer not filling up fast enough, it could be time for repiping. Water color – If you notice any kind of rust coloration in your water it could be time for repiping. While rust isn’t harmful to humans, it is very harmful to your appliances and to the rest of your water pipes. Sometimes the rust can be localized at a particular joint where the metal flux that’s used to seal copper pipes has started to rust. But other times the rust could be systemic throughout your home plumbing system. Home and plumbing age – Sometimes it’s just old age that can cause your pipes to need to be replaced. As your pipes age they will require more and more repairs and while you may be able to replace small sections of the pipe in your home, there’s little to be done for the pipes that are buried in the ground. When you need any comprehensive plumbing services just call the expert Olympia plumbers at Brooks Plumbing.